Just over a year after launching, one of the country’s newest energy retailers has reached a major milestone and has set its sights on convincing even more customers to switch from the so-called ‘big three’ with the promise they “won’t get screwed”. Energy Locals founder and CEO, Adrian Merrick, told Canstar Blue that the “predatory pricing” of some power retailers is the driving force behind many of the company’s 5,000 plus customers deciding to make the move over the last 12 months. Servicing New South Wales and South East Queensland, Energy Locals says it provides “fat cat-free energy” with a simple business model that means it does not earn money from the amount of energy its customers use, instead charging a fixed daily fee of 41 cents, or $12.50 per month. It has just one market offer – named ‘Save Me’ – that does not include any conditional discount. “That’s all we earn for providing this service and it makes us nice and cheap” the company proclaims on its website. The ‘Save Me’ product apparently represents the retailer’s values of offering customers a simple option that does not include any confusing discounts or prohibitive conditions. It also supports charitable organisations, community groups, schools and groups that are delivering renewable energy projects. Partners include the Blue Knot Foundation, Starlight Children’s Foundation, Cancer Council NSW and Surf Life Saving NSW. And now that it has reached the landmark figure of 5,000 customers, Energy Locals is going after even more households that are being taken for granted by the big three and other retailers, according to Mr Merrick. 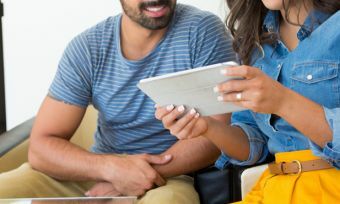 He says customers primarily switch to Energy Locals from one of the big three – AGL, Origin and EnergyAustralia – who may try to win them back with even larger discounts. Mr Merrick said the plan for Energy Locals over the next 12 months is to grow “steadily but safely” as it continues to offer households in NSW and South East Queensland an alternative to the big discount plans offered by many retailers. 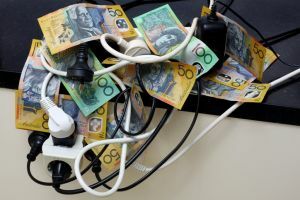 The former retail boss at EnergyAustralia said many Energy Locals customers have been stung by dodgy discounts that either weren’t as good as they looked, or because they paid a heavy price for not meeting the conditions. “A lot of consumers fall into the trap, but once they are hit by the trap, they are wise to it. It’s a case of once bitten, twice shy. They feel misled. And many look for an alternative,” said Mr Merrick. Energy discounts are one of the main areas of concern for industry regulators, with the Australian Energy Market Commission (AEMC) recently announcing a new rule that will see retailers fined for offering discounts based on inflated standard prices to appear more beneficial than they really are. However, the concern is that providers will simply increase their standard rates to comply with the new ruling. Mr Merrick predicts that the new legislation could result in retailers jacking up their base rates and discounts getting even bigger. Plans with discounts of 40% or more already exist in Victoria, where the new rule will not apply due to the state’s energy market being covered by another regulator. “I wouldn’t be surprised if one of them is dumb enough to have a 50% discount,” he said. “It would be a pretty stupid board that came to that decision. Is regulated pricing the answer? One of the most contentious issues surrounding energy discounts is that the percentage discounts being offered by different providers are not applied to the same standard prices, making it difficult for consumers to ascertain which may actually result in the cheapest overall prices. To solve this problem, Mr Merrick believes a “common reference price” should be applied, which would allow energy retailers to compete over discounts, but on a level playing field where the percentage is actually related to the savings on offer. “The price would apply to discounted products and would need to be regulated by an independent body,” he explained. “We are well past the point of any self regulation from the industry. Mr Merrick also thinks retailers should be forced to reveal, on their bills, exactly how much customers could save by switching from one product to another. He said some retailers provide multiple products with the aim of confusing customers.